 Edge Merrimack River will allow lease cancellations if you do not receive enough funds from your FAFSA and/or "alternative student loans". *Documentation of lack of funds received is required to be let out of the lease agreement. Specify you will be living in off-campus housing when filling out your FAFSA. Meet the Solutions Center at University Crossing and tell them you need to apply for Off-Campus Housing. The funds might come from your FAFSA or from an "Alternative Loan" for off-campus housing. Provide the Solutions Center with your lease agreement so they can calculate what you will need for funds next year. The Solutions Center will then assist you with applying for an "Alternative Loan" and guide you through the process. Alternative loans are credit based and might require a co-signer.